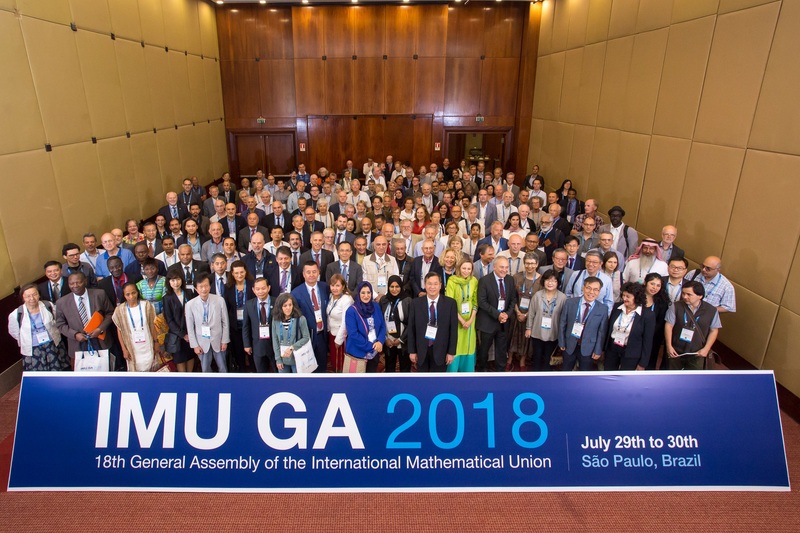 The General Assembly (GA) of the International Mathematical Union consists of Delegates appointed by the Adhering Organizations of IMU, together with the members of the Executive Committee, and of the Representatives of Associate and Affiliate IMU Members. Guests and observers may be invited additionally to GA meetings to participate for purposes of consultation upon specific items on the GA meeting agenda. Only Delegates have voting rights. The IMU Statutes contain a detailed description of the rights and duties of the General Assembly. At the GA meeting in Gyeongju in August 2014 a document that provides Guidelines for the organization of a meeting of the GA was endorsed. The GA normally meets once in four years, usually at a place and date close to an International Congress of Mathematicians. The next meeting of the IMU General Assembly will be held in São Paulo, Brazil, on July 29-30, 2018. At every General Assembly, resolutions concerning the development of mathematics, international cooperation, etc. are passed and published in the IMU Bulletin. Below is a list of these resolutions. 10th GA in Oakland, U.S.A. The NC's remit is to compose slates for IMU commissions and committees to be elected at the GA. The slates are based on proposals from the Adhering Organizations.